U.S. News and World Report has ranked 11 UCLA professional schools and graduate programs among the top 10 in the country, reflecting the campus’s broad academic excellence. Another 16 graduate schools and programs are listed among the top 20. The rankings, released online today, will be published in the Best Graduate Schools 2018 guidebook, scheduled to hit newsstands on April 11. The U.S. News graduate program rankings are based on experts’ opinions about program excellence and on statistical indicators that measure the quality of a school’s faculty, research and students. The data come in large part from surveys sent to administrators at nearly 2,000 graduate programs and more than 16,500 academics and professionals in the disciplines. Last fall, U.S. News and World Report’s Best Global Universities rankings placed UCLA second among American public universities and 10th overall. In addition, U.S. News and World Report ranked UCLA No. 2 among the country’s national public universities and No. 24 overall in its 2017 Best Colleges rankings. UCLA also received the highest score for economic diversity among top universities in those rankings. 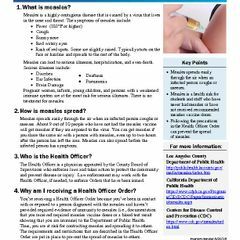 UCLA consistently performs well in multiple rankings that use a wide range of criteria. 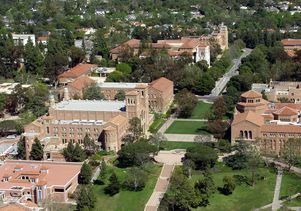 Aerial view of the historic core of the UCLA campus in 2003.